Most Recent News in our neighborhood! Sunday, September 18th from 2 – 4 p.m.
Facebook: We now have a page. Be sure to us to stay up to date with all the happenings in your neighborhood! We often get emails regarding a lost or found pet, suspicious activity or people wanting to promote their yard sale. Now you can do so yourself by posting on our Facebook page. We would love to see ALL our residents using this as it is a great way to communicate with your and watch out for your fellow neighbors! Trash Cans: (Update for 2016) We have received several complaints about trash cans being stored in front of or next to garages, sometimes overflowing with trash. This hurts curb appeal and is a violation of the community restrictions. Trash cans must be stored where they are not visible from the street. This means in your garage, storage shed, backyard, etc. We are asking for everyone’s cooperation. Going forward, individual homeowners will be cited for violations if the Board receives complaints. 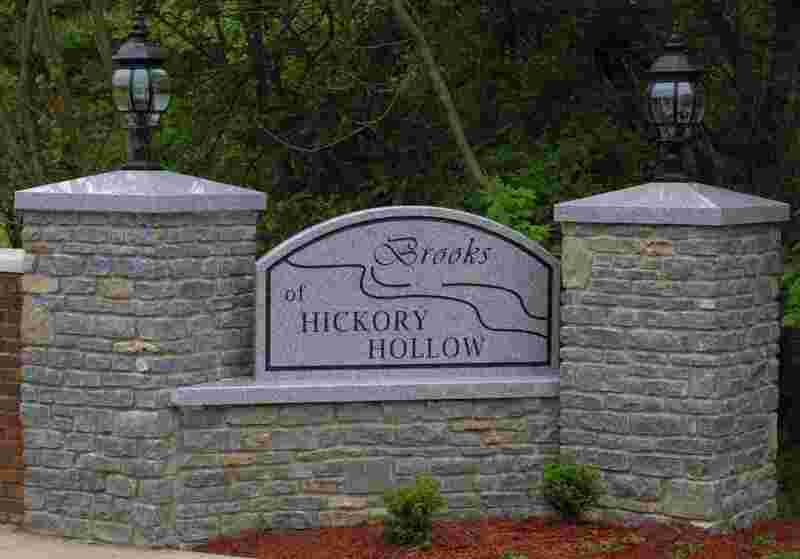 ANNUAL MEETING: Brooks of Hickory Hollow Annual Meeting will be held in August, at 7:00pm at Hope Lutheran Church. Exact date will be made available when it is known. This is YOUR neighborhood and your input is always welcomed. Please try to attend! YOUR DISTRICT COUNCILMAN GLEN STUCKEL: Do you have concerns or suggestions on how to make the neighborhood, community, city or county better? Or perhaps you would just like to know what is going on? Our Councilman GLEN STUCKEL wants to hear from you! Contact his office to be put on his mailing list to know what is happening in your community. He represents the suburban cities of Bancroft, Briarwood, Coldstream, Creekside, Fincastle, Graymoor-Devondale, Hickory Hill, Lyndon, Meadowbrook Farm, Meadowvale, Moorland, Old Brownsboro Place, Plantation, Rolling Hills, Westwood and Worthington Hills. We have received additional questions about snow removal and will try to answer them. Who is responsible for the 2-way stop intersection at Accomack and Shenandoah? Hickory Hollow Subdivision is responsible for that intersection. This area is NOT in the Brooks of Hickory Hollow and NOT our responsibility. Our subdivision begins/ends at the front entrance near the granite signs. Hickory Hollow does not have snow removal. However, at our request, the company we use does go up into the intersection when they brine/plow and turns around in the intersection. Otherwise, there would be nothing done to that intersection. There is no question the hill and intersection at Accomack and Shenandoah are very dangerous when there is snow and ice. This is yet another reason we have tried for years to make this a 4 way stop. We strongly recommend homeowners DO NOT use that intersection when there is snow/ice on the road. We have 3 other entrances/exits from our subdivision and the others do not have a steep hill with a stop sign to maneuver like the one at Accomack. In fact, Fincastle and Craig’s Creek have snow removal like we do. It is much easier to go through any subdivision other than Hickory Hollow. If you have kids to drop at a bus stop at that intersection, you can still avoid the hill by going through Eagles Cove, Craig’s Creek or Fincastle and back around to Accomack. · Some snow will get piled up at the end of your driveway. There is no way to avoid this when snow is plowed. · Don’t park on the street. This allows the whole street to be plowed and snow won’t get piled up around your vehicle. · Please don’t stop the driver and ask him to plow your driveway. He is paid by the hour to plow our streets - not individual driveways. Unnecessary delays cost everyone more. · Plenty of space is left between the plow and mailboxes. However, the force of plowed snow flying off the blade can knock down posts, mailboxes and “for sale” signs that are not firmly secured. The plow operator is not responsible for such damage. CHAIN LINK FENCES: Chain link fences are not allowed in the Brooks of Hickory Hollow per the Declaration of Covenants, Conditions, and Restrictions. Properties already identified as having existing chain link fences may keep them as long as they remain in good condition. If any repair is needed, the fence must be removed and cannot be repaired or replaced. NO NEW CHAIN LINK FENCES ARE ALLOWED UNDER ANY CIRCUMSTANCES. Additional information and a list of properties allowed to keep existing fences are on the BHHCA website listed above. Please let new homeowners know they are not allowed to install a chain link fence. THANK YOU FOR HELPING MAKE THE BROOKS OF HICKORY HOLLOW A GREAT PLACE TO LIVE!